The Perfect Mom- Not Me! Is it possible to be a perfect mom? Society is constantly trying to tell us what we should and should not be like as a parent. When you first have a child, it is hard to imagine not having the “equipment” that baby stores and advertisers convince us we need. Many of us often times even register for this new state in our life! No matter what we buy for our new calling, it cannot help us with the real task at hand, which is loving and caring for this little one. So who is the perfect mom? I know it isn’t me! The fact is we only have one perfect mom and that is Mary – Jesus’ mother. She is the “New Eve” and can provide us with the perfect example of Motherhood! As Eve led Adam to fall in the garden, Mary was the perfect woman, obedient, humble and she perfectly lived out the will of God in her life. Her yes shows us how we can say yes to God in our daily life by serving our family with love. 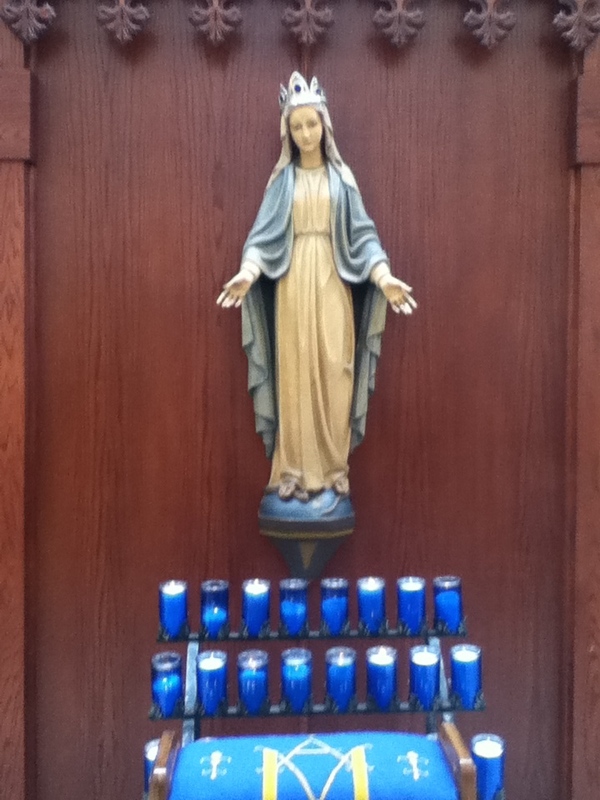 Mary turned the ordinary tasks of motherhood and made it extraordinary! We can be Saints by just living out the ordinary of motherhood!